Originally from New York City, Talia landed in Austin in 2006 with a BA in Environmental Studies and a year of AmeriCorps service in the Rocky Mountains under her belt (where she learned to wield a pick and play the guitar). Her love for organic gardening and farming developed while working at an Eco-camp on Catalina Island, a small organic farm in Israel and the Gardens plant nursery in Austin. 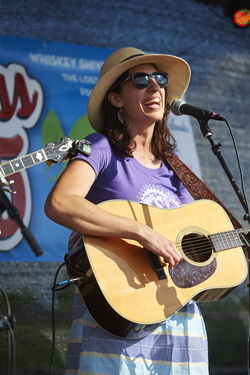 She has been the manager and leader of Austin bluegrass band, the Lost Pines since 2007. In 2010 she established Bouquet Bands, a booking agency that focuses on weddings and events. She is also Director of Events at Tillery Place in east Austin. In 2014 she started Farmgrass Fest as a small, family-friendly bluegrass music festival and since the Simmons Family offered to host, decided to make it a fundraiser for a cause important to them as family farmers. Tym Bryce is a Doctor of Acupuncture, Herbalist and founder of Acupuncture Pros in Drippings Springs, TX with over 13 years of clinical medical experience. As a co-founder of Farmgrass he has helped facilitate all events, marketing and sponsorship initiatives and heads the initiative to stretch the funds we raise to have the most impact for Central Texas farmers. He grew up on a ranch in Manchaca, TX and is also REALLY good at parking cars. Travis Singley is the Local Food Program Manager at the Texas Center for Local Food in Elgin, Tx, where he works to economically empower small-scale producers and create community through agriculture. He also works for the Central Texas Meat Collective where he helps to bring together farmers, chefs, butchers, and students all in the name of transparent meat education and ethical meat production. After receiving his Master’s degree in Social Work, Travis began working as a Food Justice Advocate at a nearby farm, where he helped to expand access to organic produce and meat to the surrounding low-income neighborhood. From there, the rest is history, as they say. After remembering how amazing it felt to have his fingers in the soil, Travis spent the next few years working as a farmer at different organic farms throughout Central Texas, raising sustainable meat, growing organic veggies, and learning from those smarter than himself. When Travis is not talking about food, eating food, or helping folks to learn about and engage with their food, he is Travis lives on a 200-acre cattle ranch in Pflugerville, Tx with his wife and two dogs. A midwestern native, Kimina left to attend the University of Oregon where she studied Environmental Studies and French. Having travelled around, she made her way to Austin where she now works at the Central Texas Food Bank as the Community Engagement Coordinator. With previous farming experience (in Connecticut, Oregon, France and Maine), she appreciates the local food movement and is always working towards providing better equality of access to healthy food and medical care. She stays involved by growing food in her own backyard and even supplied a weekly mini-CSA box to friends over the course of the spring season! Originally from Virginia, Matt has been in Austin for 5 years. While on tour as trumpet and keyboard player for Austin pop sensation Wild Child he somehow finds time to discover the cutest baby animals the internet has to offer for our Instagram feed and write informative and beautiful blog post about our local farmers. Matt's other band Fog & Bone will be appearing at Farmgrass Fest '16 for their 3rd year running. His harmonica is guaranteed to blow your mind. Etan is an Austin based musician and sound engineer. He has worked with countless artists, bands, and productions both as a performer and behind the scenes. He originally hails from New York City where, among other things, he worked with the Blue Man Group for 7 years. 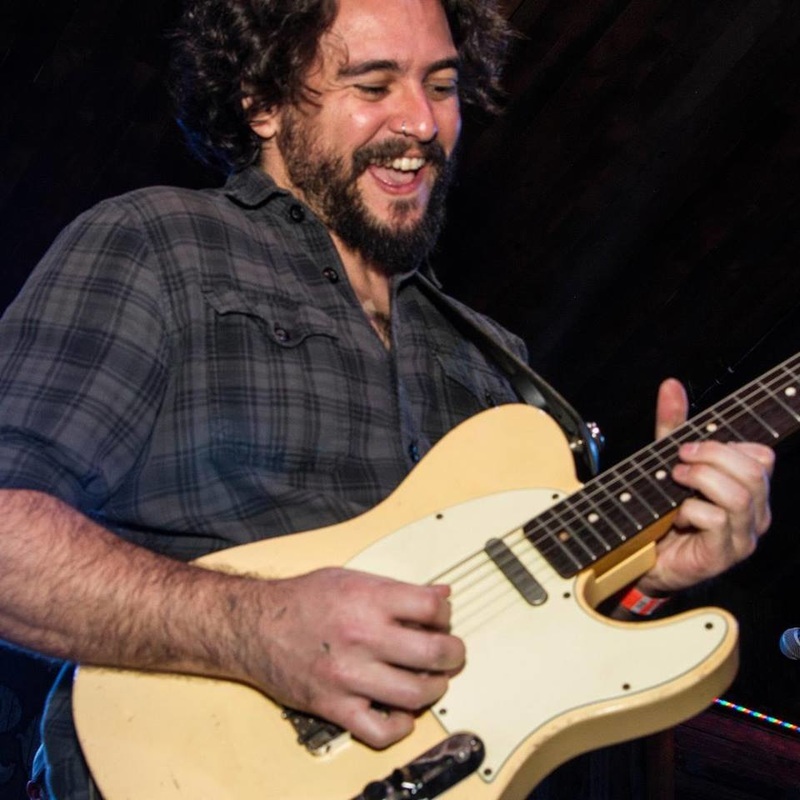 Etan currently owns and operates Battle Bend Studios, and can be seen playing guitar frequently around Austin and elsewhere.